Releasing the list of ranks is the second step of the results part. It involves getting admissions on a total of 34,781 seats for 629 different courses in all the 23 IITs, 31 NITs, 18 GFTIs, and 20 IIITs this year. The admissions in these reputed colleges and universities will be provided on the basis of ranks obtained. There is a total of 10,375 seats in all the IITs combined this year to be filled. NITs have 18,013 seats in total. All of these seats are to be filled through JoSAA. It will be based on the JEE Main rank 2016 achieved by that particular candidate. The results for both JEE Mains and JEE Advanced have already been released in the month of May and June this year. It’s now time to start the admission process in the participating colleges of the JoSAA. The full form of JoSAA is the Joint Seat Allocation Authority, which has been set up by the HRD Ministry. It will enable the smooth flow and regulate the joint seat allocation process in over 92 participant institutions. The joint counseling will take place on 24th June, just after the declaration of the JEE Mains list of rank. It will be made available on the official website of the Joint Entrance Examination – www.jeemain.nic.in, cbseresults.nic.in, and josaa.nic.in today, June 23. To know the ranks, the candidates who participated in the test will be able to check it by logging into their profile. Before logging in, keep roll number and other important details handy. More than 1.3 million candidates participated in the entrance exam JEE Mains, which was conducted on 3rd and 9th April via online and offline mode. Out of those only 1,98,228 aspirants qualified for the JEE Advanced. Then, 1.6 lakh participated in the Advanced test. Thus, now the rank list of about 1.1 million will be published. The result was announced as per the marks obtained by the candidates while the JEE Main rank 2016 list has been prepared based on a normalizing weightage to 12th class percent marks. The candidates will receive a rank on All India level and while the other rank will be based on category. The JEEMain rank list 2016 will be published today on its official website. Then, the further process of counseling and seat allocation will be carried out. Below we have the complete schedule for the same. 23 June– 2016 JEE Mains AIR publication. 24 June– registration and filling-in of choices for academic programs will begin. 27 June (10 am to 4 pm)– mock seat allocation will be displayed based on choices filled by students as of 26 June, 5 pm. 28 June (5 pm)– candidates registration and choice filling end. 29 June– reconcile the date, allocate seats, verify and validate. 30 June– 1st round of seat allocation result will be published at 10 am. Candidates will have to accept the seats between next 4-5 days. A total of 4 rounds will be held for allocation of seats, each scheduled to begin after the completion of admission in the previous round. The current schedule of counseling after 1st round is indicative and will be finalized soon by the apex board. 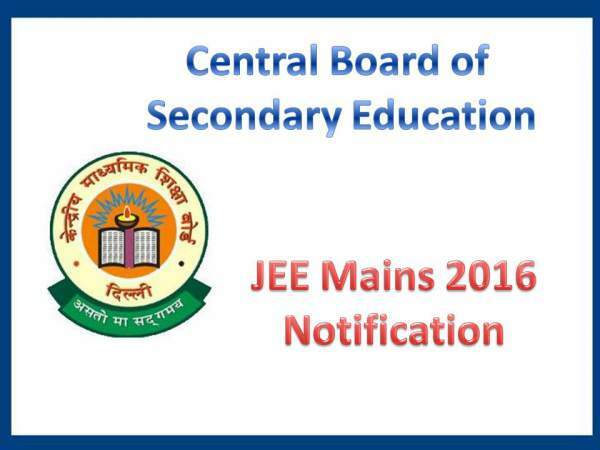 Stay tuned to for more and all the best for your JEE Main 2016 rank list. Don’t forget to share ti on social media sites. i am confuse what shoud i do ???????? From which state you have pass class12 Dinesh kr verma then i can help you. What is the time of releasing the rank? 5:30pm of which year ??? do we have time travel?????? Jab paper 1 ka ALL INDIA RANK niklega tab paper 2 ka v result niklega.Don’t worry. Sir,at what time jee main rank will be released. sir, my score is 107 n marks in intermediate xams is 966 … n i belong to bcc .. is there any hope ???? How am i going to check the air. I tried through all the given website. But got nothing. So kindly do share me the link to my email. aaj rank nahi aaye ga.
plzzzz…send me..AIR to my email id..and what cn i do…. dey result release panunga daa!! Is the rank declaration postponed ? kab release hoga AIRs? Can anyone tell me? I cant find it yet.when wil it release.? At what time the JEE Mains Ranks will be released? Jee rank is not released today, server problem ………..
Is jee main rank is not declared today..??? Will the ranklist be published today!!! where to check jee mains rank? I have got 84% percent in total 5 sub and my main score is 78 and I am obc. can I get a seat ? As stated by the deputy chairman, the results will be out by late evening (8 pm). All the best everyone. No rank.. All in vain..
Jee mains rank kab aaygi? How are we supposed to register on 24 for josaa if we dont get rank today………. wil cbse wanted 2 knw our fate or not?/ wen wil the ranks gonna b avaliable? Is the jeemain rank will be surely issued today? i dnt knw what they want from innocent students.. When will be ranks of jee declared???? Have any idea????? I saw JEE mains rank for a while only in my mobile but as I refreshed it, it disappeared. What was it? Rank is on site. See it now.. I got general rank-45611 and. Obc rank- 12000 . possibility of getting nit. Is there any chance to release air today? Its 8:40 still no sign of result.. Anyone know exact time of result..
are Bhai all India rank aaya ki nhi??? plz tell me …at what time jee AIR will released..
Has the rank been released.?? Jee main rank list ?? What college and branch can I get with 15000(SC) Rank in jee main 2016 and 3569(SC) in jee advanced 2016.